But often I see the passion fizzle when it comes to climate change. And if the silence I hear on climate translates across the West, the industry is short-changing millions of visitors at a time when dialogue is needed. Of course, there are plenty of reasons for holding back. Bringing up climate change can be a downer for clients simply hoping to fish a fabled river or see their first glacier. Scaring the kids or getting crosswise with Dad’s political views are also sure ways to blow your gratuity. Hypocrisy plays a role, too. We all burn fossil fuel on our dates with nature, especially in Alaska, where we cross great distances to raft, kayak or camp in the wild. Whether aboard a tour boat in Glacier Bay or on a bus along the Grand Canyon, the engine is a droning reminder of our complicity in changing the climate. The issue’s complexity is also daunting. Distilling carbon cycles or climate patterns into campfire small talk isn’t easy, and keeping abreast of fast-moving research takes time. Profit comes into it, as well: Companies want happy clients, and bosses may discourage guides from discussing anything they consider political, not scientific. So avoidance is easy. But on the other hand, speaking up is bold, and boldness in the name of the land is deeply rooted in the outdoor professions. Take John Muir, who found rapture when he wandered into the Sierra in 1869. 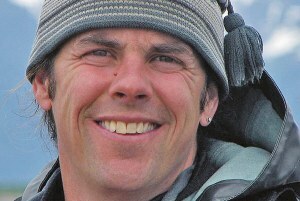 Soon he was guiding hikes, sharing his passion with whoever would listen. His growing reputation attracted Ralph Waldo Emerson, Theodore Roosevelt and others, and he certainly wasn’t quiet about the damage he saw grazing do. In the 1950s, David Brower used rafting trips on Colorado’s Yampa River to alert people to a dam proposal. In the 1980s, The Boat Company and other tour boat operators in Alaska exposed destructive logging on the Tongass National Forest. Muir’s work led to new national parks. Brower helped stop a dam. In Alaska, old-growth forests escaped the cut. Today, we enjoy these and other places because outdoor guides shared their love of the land. Discussing climate change is also great natural history. Warming has accelerated the reproductive cycle of the bark beetle, for example, and we can clearly see the links between less snow, fewer fish and more disastrous wildfire. These stories are intriguing in their own right, and they also help us tell the land’s story. 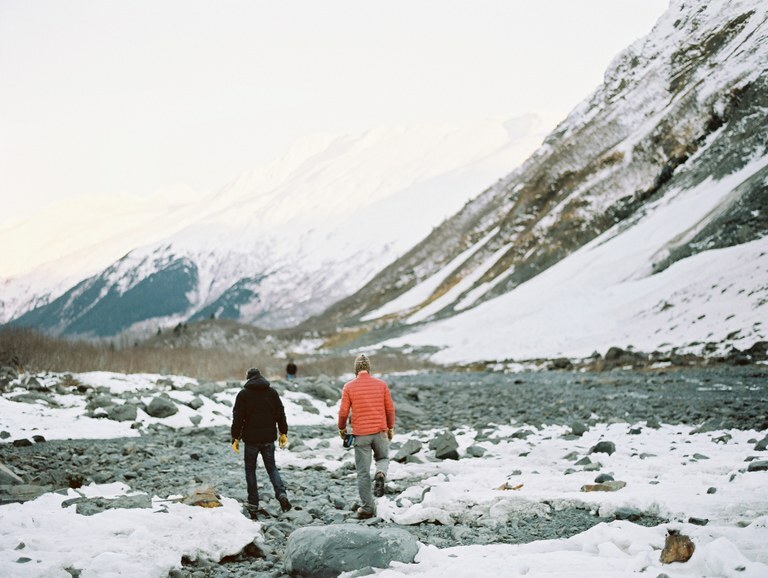 In Alaska, retreating glaciers help tell the story. What’s happening before our eyes is visually stunning, and also fascinating geology: Our transport of carbon from ground to sky has altered the atmosphere much like a comet’s impact, triggering planetary warming that collapses glacial systems. The short-term result is Genesis, with new fiords bursting to life with plants, marine mammals, migrating birds and new human traditions. It’s an amazing moment for the nature geek in every guide. But there’s another angle to consider: self-preservation. The changes occurring to rivers, glaciers, forests and snow awaken economic and even existential concerns for tour operators. Raising the issue — the way the ski industry has with its “Sustainable Slopes” campaign — may carry a bottom-line benefit. Obviously, climate discussion need not dominate a tour, and initiating “The Talk” is not necessary for every trip or every client. But silence doesn’t work, either. Changing the industry is a shared responsibility. Companies must provide training, resources and encouragement, while guides need to apply their natural creativity to raise the issue without raising hackles. And what if the guide is silent? Clients should feel free to ask questions; doing so could improve the quality of the tour. The biggest role belongs to the agencies that steward the land and issue the permits. A shining example is the Mendenhall Glacier Visitor Center in Juneau, Alaska, where the namesake glacier is shrinking from the scenery. Instead of denial, Forest Service officials shifted to a climate-change focus. The center’s 550,000 annual visitors, mostly from cruise ships, now experience unabashed, science-based climate education. So do their tour guides on bikes, rafts, kayaks and buses. Similar openness occurs at Kenai Fiords National Park and the Chugach National Forest visitor center at Portage Glacier, near Anchorage. At each, agencies improve the experience of the guided public, with positive reception. They are good examples to consider while leading the public on outdoor adventures this summer.